After those first few weeks of learning the basics about a sewing machine and how to control it, your child may be proficient enough to start making their own sewing projects. Yet their creativity has tuckered out. They are giving you the big, sad puppy eyes and you are scanning your sewing books trying to find a pattern that they haven’t done already. No worries. Thanks to the Internet, people have shared thousands of project ideas (with pictures!) so your child can regain their creative side and get their fingers moving along the fabric when at their very own sewing machine. 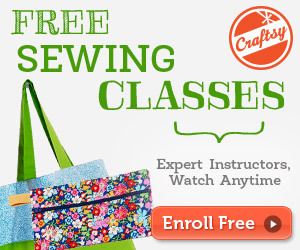 I’ve gathered together a list of sewing projects that they may be interested in from Pinterest. Check out these projects and let your child pick the one that they like the most. Then gather the supplies and start sewing! 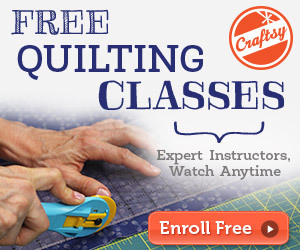 Okay, how many of us have sewn zippers on the inside without flipping over the fabric? This simple 5-step visual can teach kids how to sew on zippers the right way. Then they will be able to sew them on practically anything, including the other projects that are mentioned here. Sometimes those tissue boxes in your child’s room are just plain boring. Design them in the colors that your child loves with these simple tissue covers they can make themselves. These covers can kind of remind you of tiny pillow shams, yet for tissue boxes. Let your child make them in different sizes to hold the various sizes of tissue boxes. They may even get inspired to create a travel tissue cover that looks stylish with your purse. Get into the holiday spirit with these adorable quick chopstick holder keychains. Your child can hang anything from their house keys to little charms and pendants so they always know where to find them. What a great tiny gift your child can pass out to relatives friends! Or your child can place the metal loop on their jacket zipper to make it easier to pull it up and down on those cold wintry days. Another keychain project that I like. These forest animal keychains are great little projects for your child’s small hands as they can hone their sewing skills. These cute hand puppets can be your child’s favorite go-to project. They can make all their favorite farm animals including the farmer Old MacDonald as they will be singing the rhyme as they sew.Then help your child put on the perfect puppet play for the entire family. Is your child tired of stepping on their coloring pencils on the floor? Then they can keep their pencils organized and easy to take with them inside their book bag with this patchwork shark pencil case. While the project shows a patchwork design (which is great to get rid of all those tiny scraps of leftover fabric), let your child select the fabric they desire so it will be personalized to their own tastes. I love this project by Linda! About every parent has an old box of lost clothing items such as winter gloves as you leave the lone glove in there in the hopes that the mate will pop up eventually. Well, your kids can play with the single gloves by making them into glove monsters. This simple project is great for beginners as they will have as much fun with the glove monsters inside the house as they did wearing the gloves outside. I want one! Okay, so maybe your child will enjoy this cute little pouch shaped like a whale as they can hold their loose change, crayon, markers or just about any type of small objects. This project can easily be modified and changed into different animals that your child would love to sew and make their own. This is so cute and your child will love taking it everywhere with them, even on vacation. This project is called the travel playhouse as it looks like a small felt travel case that can be unhooked and opened into the inside of a dollhouse. It would be perfect for any type of doll that your child has as she can make tiny accessories that can go inside. Fashion it into a princess palace, a regular toy house, or a tiny felt cabin with stepping stones crossing a blue fabric river. You can help your child experiment with different ideas until they make the playhouse how they like it (tiny wooden furniture is optional).